While you were having fun in the sun this summer, it was no vacation for your house. 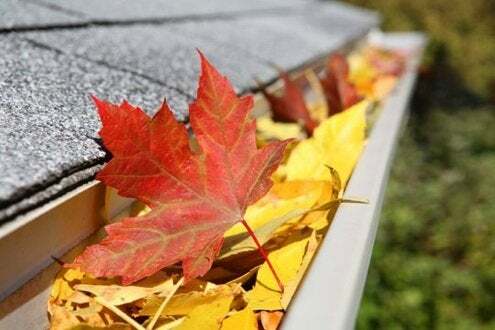 A fall checklist will tip you off to little problems before they become nasty mid-winter surprises. The easiest way to do it is to check from top to bottom. Start with the roof: are your shingles worn? Check for leak around the skylights, vents, and chimneys, and have that chimney cleaned. Clear out your gutters and check for leaks there, too. Drain your outside hose spigots if you live where pipes can freeze. Switch your screens for storms, and seal any drafty windows and doors. Same goes for paint and siding: make sure you caulk or repair any gaps, cracks, or holes, and re-point any brick surfaces that need it. Paint over your repairs while the weather’s still warm enough to do it, so you’re not looking at them all winter. In the basement, check for dampness, change filters, and have your heating system serviced. Do the top-to-bottom check this fall, and you’ll avoid expensive surprises this winter!